Worcestershire is a county steeped in history and between its rolling countryside and Rivers Avon and Severn sit towns, villages and communities with a rich cultural heritage. 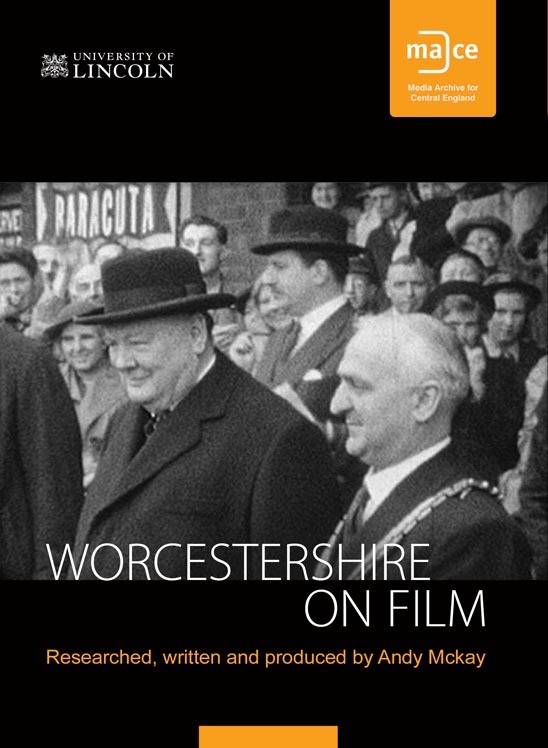 Using seven themes, Worcestershire on Film, produced and edited by filmmaker Andy McKay, pieces together rarely seen and newly restored 20th century films of the county that are preserved at the Media Archive for Central England (MACE). Amongst the films are a variety of reports from ATV Today which ran from 1964 to 1981, including: village reaction to the possible sale of Bredon church spire to America in 1968; the 1969 demolition of the house on Rainbow Hill where Sir Edward Elgar died; crop picking and asparagus farming in the 1960s and 1970s and reports from the 1960s to 1980s on flooding in the county when the River Severn burst its banks. There is also a focus on industry including a 1925 film illustrating carpet making in Kidderminster and a look at needle making in Redditch in 1968.The collection includes film of Winston Churchill's visit to Worcester on 20th May 1950 with a glimpse of the newly discovered letters between Churchill and the city's mayor, encouraging Churchill to make this visit after he was granted the freedom of the city in 1945.